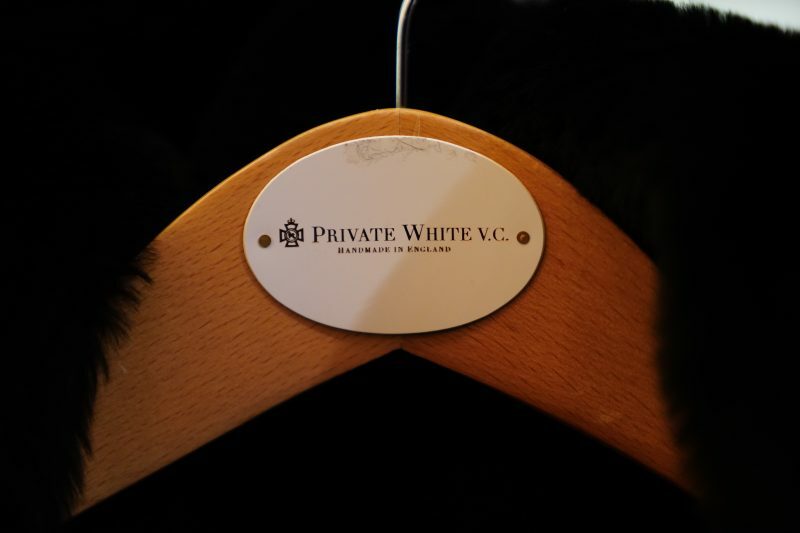 Manchester based designer brand Private White V.C., a brand with an already prestigious reputation for quality and design, launches a new collection in collaboration with the Woolmark Company. It’s always a good thing when two of the best in what they do, join forces to show us just what classic, elegant pieces look like. The collection itself is an exclusive piece for Private White V.C., designed to celebrate Australian Merino wool which is one of the most natural and eco-friendly fibre the world. All 100%, all renewable and best of all, all biodegradable. Good to see brands beginning to lead the way of delivering products to consumers, without burning a hole into our environment. 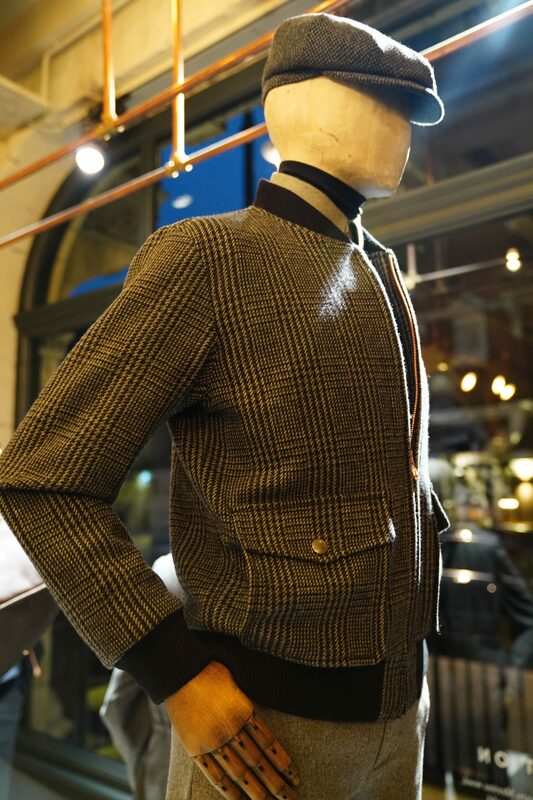 – The Woolmark Merino Wool Doeskin Mac – An elegant single-breasted overcoat handcrafted using a super soft 100% Australian Merino wool woven in Yorkshire with an exclusive doeskin weave. Half-lined, fly-fronted with a military grade centre-front zip and stud fastening, the showerproof Doeskin Mac is the perfect silhouette to transmit the luxurious look, feel, drape and performance of the exclusive Merino wool cloth. The Doeskin Mac carries the iconic Woolmark quality certification mark that has endorsed products for its quality and performance since 1964. – The Woolmark Merino Wool P.O.W. Bomber – a versatile wool bomber with Private White V. C. signature military-grade copper centre-front zip from RIRI of Switzerland. The 100% Australian Merino wool outer cloth has been woven locally in Yorkshire in an exclusive tonal Prince of Wales check pattern. It features two external patch pockets with stud-secure flaps and side entry and two internal double jet pockets with stud secure fastening, with etched copper rivets on the internal hanger loop. Australian Merino wool is a natural, biodegradable and renewable fibre. Wool is a great fibre due to its breathability and thermoregulation properties, making it the ultimate luxury fibre for comfortable and durable clothing. – Woolmark Merino Wool Gilet – the wool-wadded gilet has been fabricated using the finest 100% Australian Merino wool woven in Yorkshire. The innovative 100% wool wadding provides optimal breathability and extreme insulation from the elements. It features two external patch pockets with side-entry and stud fastening, along with centre-front fastening with gunmetal snaps and an Alcantara trim detail to front, hem and collar. There is also a 100% cotton corduroy trim on the inside collar with an internal smart phone friendly patch pocket. There is an internal draw cord at the waist with copper stoppers to cinch the garment for a more tailored look and feel. 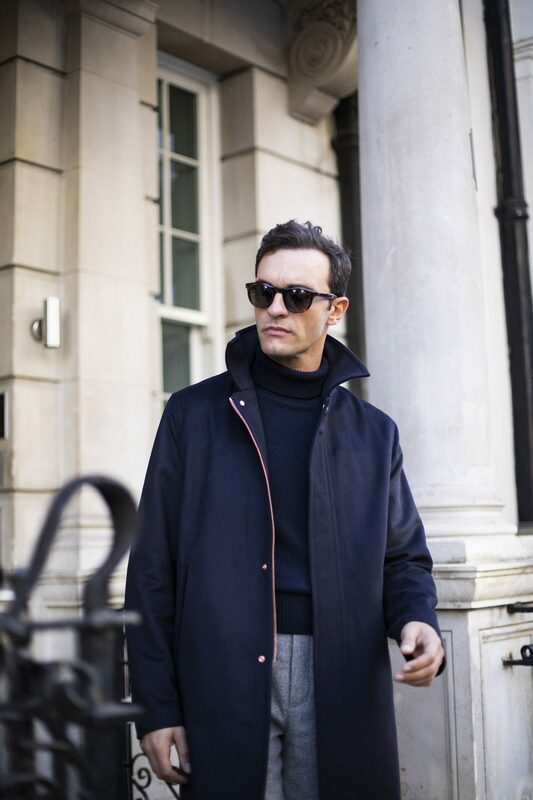 – The Woolmark Merino Wool Shacket – a more casual but equally dependable alternative to the traditional blazer. Elegant double vent at the rear with concealed button fastening, the Shacket boasts enough formal features to pair with a crisp shirt and tie but also equally lends itself to weekend wear. Unstructured and fabricated using the finest 100% Australian Merino wool woven in Yorkshire. – The Woolmark Merino Wool Crewneck – 100% extra fine Australian Merino wool Round Neck Sweater lovingly made by our goods friends north of the border, Johnstons of Elgin. 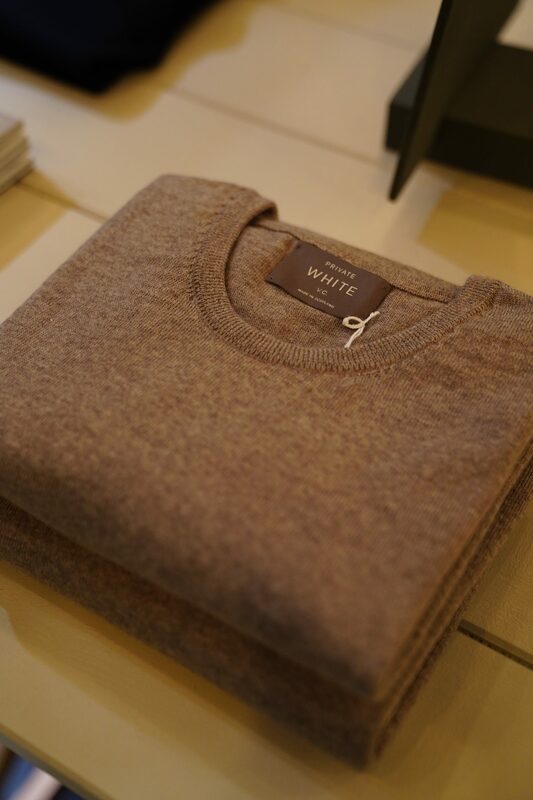 This garment carries the Woolmark logo, a symbol of quality for Pure New Wool. Only licensed manufacturers who meet The Woolmark Company strict performance standards are permitted to use it. The new range from Private White V.C. and the Woolmark Company will be available exclusively on Mr Porter with prices from £140, showcasing quintessential British menswear at its best.